The restaurant and food service industry in Iowa is expected to bring in $4.3 million in revenue this year and employs over 150,000 people. An additional 16,400 jobs are expected by 2026, creating a significant demand for highly skilled culinary professionals. Earning a culinary degree or credential can help you get in on the ground floor or work your way up the career ladder in this exciting industry. We created a list of the top 10 best culinary schools in Iowa for 2016. The best culinary schools feature hands-on training, highly educated and experienced staff, a variety of coursework, and professional development opportunities. We included schools that offer a variety of culinary related programs and all schools on our list have a positive reputation based on our research. Earning your degree from a reputable and accredited culinary school with increase the opportunity for career advancement and potentially higher earnings. Iowa State University is a top culinary school offering a BS degree in Culinary Food Science. Students in Culinary or Food Science have the opportunity to experiment with food and a variety of recipes to learn how to create, change, adapt, and enhance food products. Coursework covers food chemistry, nutrition, food safety, food production, and dining management. Graduates are prepared to work in research, food marketing, and test kitchens. Students interested in earning their MBA can enroll in the concurrent degree program, allowing students to earn both degrees in just five years. Marshalltown Community College features a Culinary Apprenticeship AAS degree that can be completed in three years attending part time. This top culinary school has designed their program to allow for a significant amount of hands on training. A 6,000 hour apprenticeship is required as part of the program, with classroom courses offered on Mondays in the campus catering kitchen. This European training method allows students to work side by side with some of the best chefs in the area while earning a paycheck and gaining the skills needed to advance in the field. The Hotel and Restaurant Management AAS program at Iowa Lakes Community College is the oldest Hotel and Restaurant Management program in the state. Students have the opportunity to learn in a state-of-the-art environment which includes convection ovens, grills, steam tables, a unox combi oven, a meat slicer, and broilers. Graduates are prepared to work in a variety of positions including chef, cook, front desk worker, night auditor, and dietetic aide. The AAS degree program can be completed in two years and the Diploma program is just three semesters. Both programs require on the job training to gain professional work experience. Western Iowa Tech Community College is a top culinary school with a program designed for those with a passion for food and art. Students learn in a state-of-the-art culinary kitchen and have the opportunity to develop their talents through unique coursework including Art Appreciation, Ethnic World Cuisine, and Front of House. The program can be completed in two years and concludes with an internship experience. Graduates are prepared to work as a chef, catering chef, corporate chef, or restaurant owner. Eastern Iowa Community College offers a variety of culinary programs at different levels of the career ladder. The Culinary Arts Apprenticeship features extensive work experience as the program allows students to work at one of 65 approved apprenticeship sites for 6,000 clock hours. Students attend class one day per week and spend the rest of the week working in the field. Graduates are usually hired for permanent employment before they graduate. Other culinary arts programs at EICC are offered as a mix of classroom and hands-on learning in a kitchen laboratory. The training center is state-of-the-art and features pieces of equipment not usually found in other culinary programs, such as a buffalo chopper. Students have their own workstation but can observe the chef on big screen televisions. Demonstrations are recorded, allowing students to repeatedly view specific training points. Iowa Central Community College features a culinary program with a variety of diploma options that can lead to an AAS Degree in Culinary Arts and Hospitality Management. Diploma programs can be completed in just one year and feature a combination of lecture and hands on learning courses. Students who choose to continue their education can pursue the AAS degree which includes an on the job training practicum. Culinary instructors are experienced in the industry and have a variety of experiences in the restaurant and hotel industry. Graduates are qualified to enter the workforce at an entry level and work their way quickly up the career ladder. Iowa Western Community College is a top culinary school offering an AAS Degree in Restaurant and Hospitality Management. The program can be completed in four semesters and one summer. Students can attend either full or part time as their schedule allows. The curriculum focuses on beginning and intermediate skills including baking, dining service, soups and sauces, and menu planning and design. This hands-on program prepares students to work in a variety of settings including restaurants, hotels, night clubs, and commercial kitchens. Des Moines Area Community College is proud to feature a brand new culinary building noted as one of the finest culinary labs in the country. The renovation and expansion project added a larger banquet hall to accommodate larger functions and provided for an overhaul of the current culinary classrooms. Students have multiple opportunities to apply their skills and training by preparing and serving gourmet dinners to the public or preparing gourmet lunches at the Bistro. Students also have the opportunity to travel to France for an 11 day internship opportunity. Kirkwood Community College features an AAS Degree in Culinary Arts accredited by the American Culinary Federation and awarded exemplary status. Students can complete the program in just two years and are engaged in hands-on learning from their first day in the program. The Class Act Restaurant and the Hotel at Kirkwood Center provide students with the opportunity to become engaged in all aspects of running a large scale restaurant or catering establishment. Students participate in a variety of field trips and attend conventions to gain new perspectives and hear new ideas. 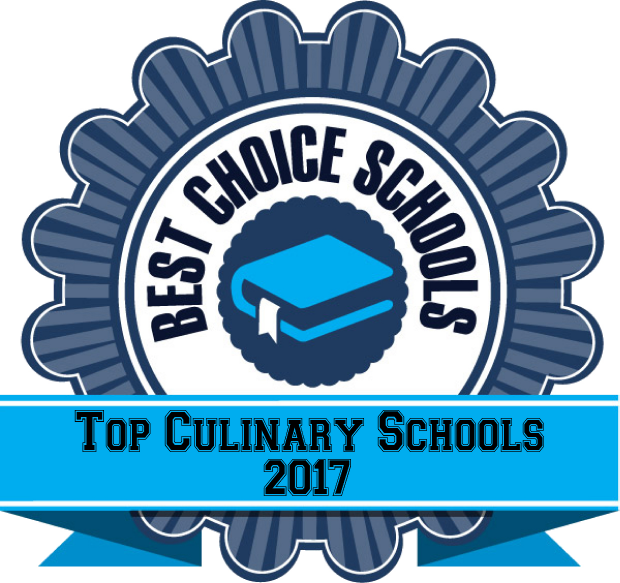 Indian Hills Community College is a top culinary school offering a seven semester AAS Degree in Culinary Arts and two diploma programs. Indian Hills Community College is accredited by the American Culinary Federation and it’s programs have earned exemplary status. Courses are offered as a combination of classroom and laboratory experiences, allowing students to spend over half their day in the kitchen or bakery lab. An internship experience is required as part of the program to help students gain work experience before graduating and entering the field on their own.